LEXINGTON, Ky. (May 22, 2014) – Clinical massage therapy has alleviated chronic lower back pain (CLBP) in patients who participated in a recent University of Kentucky study of complementary therapies. Researchers in the University of Kentucky Department of Family and Community Medicine recently completed a study pointing to real-world evidence that clinical massage therapy helps reduce symptoms in CLBP patients. The department partnered with 67 primary care providers (PCPs) and 26 massage therapists in urban and rural Central Kentucky to study provider decision-making for complementary treatments and short-term effects of clinical massage and progressive muscle relaxation therapies for CLBP patients. Through the study, PCPs in five counties referred CLBP patients with point of service cards to community practicing, licensed massage therapists for clinical massage therapy or to a course of patient-administered progressive muscle relaxation therapy. All study therapies were provided to patients free-of-charge. Of the 100 participants in the study, 85 received clinical massage therapy, and 54 percent of those patients reported a clinically meaningful decrease of pain and overall disability. Study investigators Dr. William Elder, UK Family and Community Medicine, and Dr. Niki Munk, Indiana University School of Health and Rehabilitation Sciences, are currently disseminating study results on the regional and international level. They most recently presented results at the International Research Congress on Integrative Medicine and Health 2014, May 13-16 in Miami. Elder, principal investigator for the study, said CLBP is a common diagnosis, especially in people who have performed physical labor as part of their job. 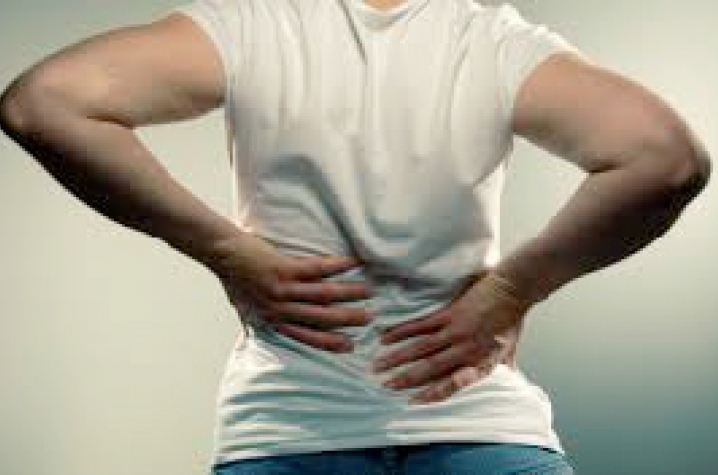 The musculoskeletal problem is perpetuated by the patient's emotional stress or anxiety. Because more members of the aging population expect to maintain healthy functioning into their later years, medical researchers are interested in measuring the effectiveness of alternatives to habit-forming pain medications, such as narcotics. "CLBP is interesting because most people recover, but those who don't usually have some very challenging circumstances that they are living with and a propensity to experience stress," Elder said. The study served to forge relationships between the University and community massage therapists. In addition, the study indicates a need for future research investigating the extent to which complementary therapies could lessen or eliminate the patient's reliance on opioids for CLBP symptoms. While long-term studies are needed to fully understand the benefits of clinical massage therapy, Elder said the initial study may give physicians a higher level of confidence to refer patients to massage therapists practicing in the community. "I think the study has promise for the possibility that someday these treatments could have parity and be available to patients suffering these problems," Elder said. "This was a real-world study with real-world results because we were able to engage our primary care providers and massage therapists." The study was funded by a grant from the National Center for Complementary and Alternative Medicine with the National Institutes of Health.